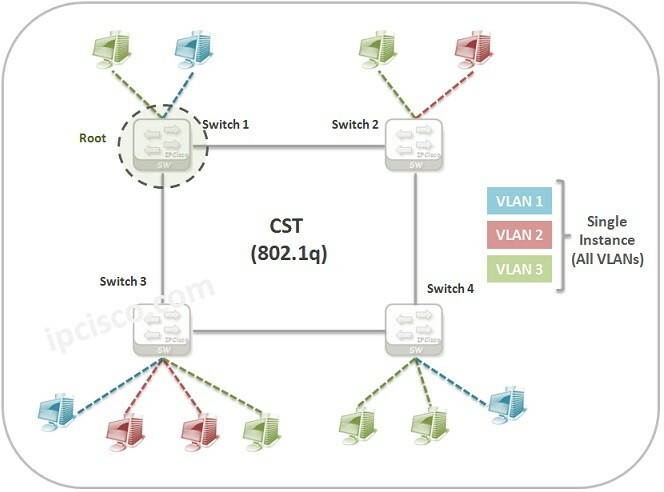 PVST+ (Per VLAN Spanning Tree Plus) is a Cisco proprietary STP version. It is also the default STP version for Cisco devices. It is the standard named 802.1d. In normal STP, CST (Common Spanning Tree), only one instance can be used for the whoşe network. There is no specific instances per VLAN. 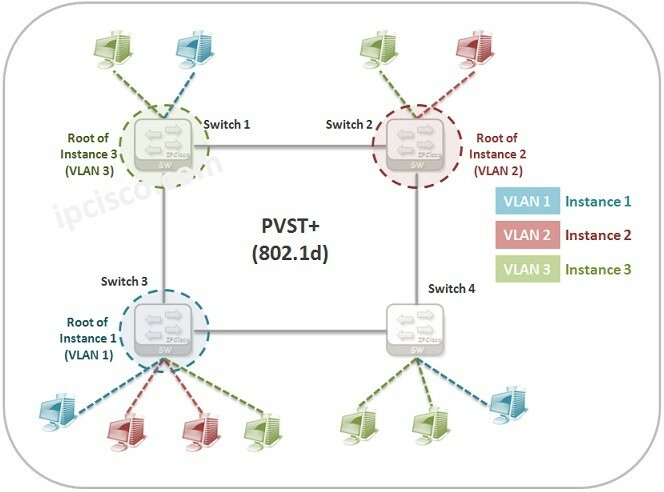 PVST+ (Per VLAN Spanning Tree Plus) creates an instance for each VLAN and in each instance, a different STP process occurs, a different Root bridge is selected, different port roles are used etc. There are some advantages and disadvantages of PVST+ if we compare it with normal STP (CST). What are these advantages and disadvantages? Let’s check. For the network performance, PVST+ is a better selection than STP. Because, in PVST+, STP process is done for a small group of devices, for the devices in the same VLAN. Not for the whole devices in that network. The performance is better in PVST+ than normal STP (CST), but, here the CPU and memory usage are more. This is one of the disadvantages of PVST+. Beside, the convergence time is also higher than CST in PVST+. Another important advantage of PVST+ is providing a good load balancing. 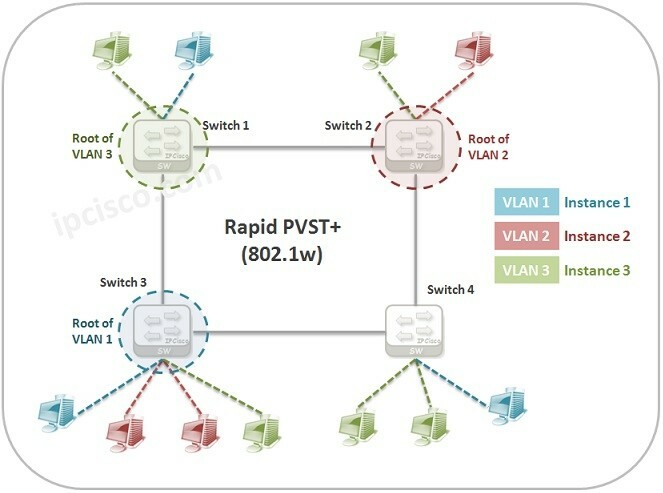 Rapid PVST+ (Rapid Per VLAN Spanning Tree Plus) is also a Cisco proprietary STP version. Again, it has an instance for each VLAN and each VLAN has a separate STP process. It has a faster convergence advantage if we compare it with PVST+. Beside, PVST+ (Rapid Per VLAN Spanning Tree Plus) need more CPU and memory resources than PVST+. Hey Buddy!, I found this information for you: "PVST+ and Rapid PVST+". Here is the website link: https://ipcisco.com/pvst-and-rapid-pvst/. Thank you.